By default, an user (non-admin) cannot give permissions to other users that are not in the same group. 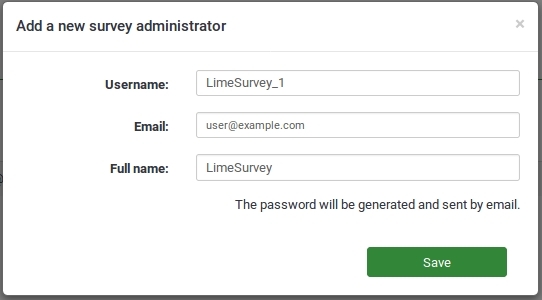 This is a security option enabled by default in LimeSurvey. To change this, you need to deactivate option Group member can only see own group located in the Global settings, under the Security tab. However, if you feel unsure about disabling this option, you can create groups containing members that can receive survey permissions from the survey creator.